Growing interest in self-driving cars may resurrect Sergio Marchionne’s case for more automotive-industry marriages. Fiat Chrysler’s boss put consolidation on the back burner after failing to entice General Motors into a cuddle last year. The debate about the shape of the sector is likely to rage as the age of autonomous vehicles looms larger. Last April, Marchionne attacked the folly of carmakers plowing large amounts of cash into largely identical research and development projects as a waste of capital – and one that helps explain why shares of car companies trade at such low multiples to the broader stock market. The problem is bound to get worse as cars that drive themselves become a reality. It’s not just an expensive undertaking. The shift to autonomy over the next decade or two may also slash demand. Analysts at Barclays reckon annual car sales could fall by 40 percent as shared cars also become the norm, forcing Ford and GM to cut capacity by some 60 percent. Granted, 2030 may sound a long way off, but it’s just three or four product cycles for carmakers, so planning needs to start now. The challenge is complicated by a new swath of entrants coming into the business. At one end are specialist companies like Mobileye, an $8.5 billion builder of smart cameras, radar and so forth. At the other are the likes of Google and Apple, which have deeper pockets and generate more cash to deploy on new projects than traditional carmakers. Banding together would help carmakers save costs as they invest in the transition – alongside addressing other challenges, like the need to meet tougher fuel efficiency standards. It may also help them protect their turf. 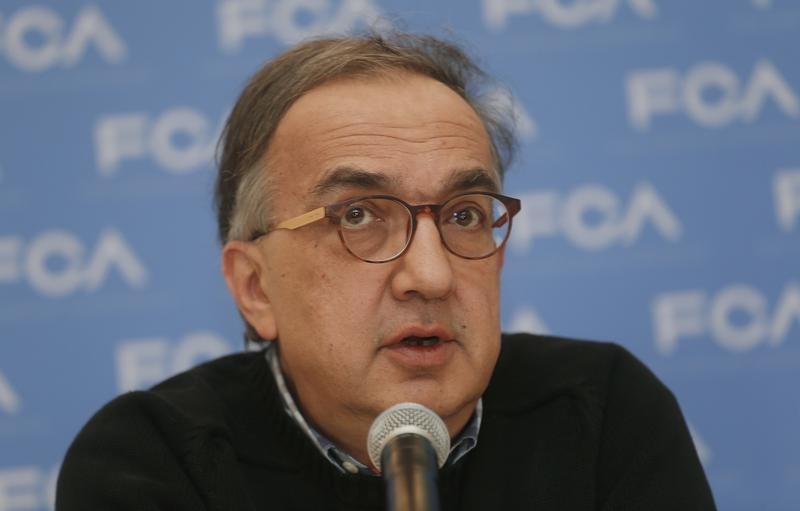 Auto history has been one of “solid disintermediation,” Marchionne said at the North American International Auto Show in Detroit on Monday. Fiat Chrysler is in a tougher spot than some of its larger, healthier rivals. With lower earnings and some $8 billion of net debt, meeting new fuel standards and staying profitable is a bigger challenge, Marchionne admits. That’s why a merger appeals to him. But the cost and competition of autonomous cars should prompt rival executives to reconsider Marchionne’s thesis as well. The Detroit auto show, officially called the North American International Auto Show, opened to the press on Jan. 11.